No electricity needed, absorb full direct sunlight to charge about 6-8 hours, can provide 6-8 hours illumination, realizing energy saving. Lumens: 2 lumens. Measures: 2.3 2.3 13.5 inches. Cool White color, clear plastic lens provides pretty light effect on the ground, the classic shapes and materials make your garden beautiful at night with lighting lights. 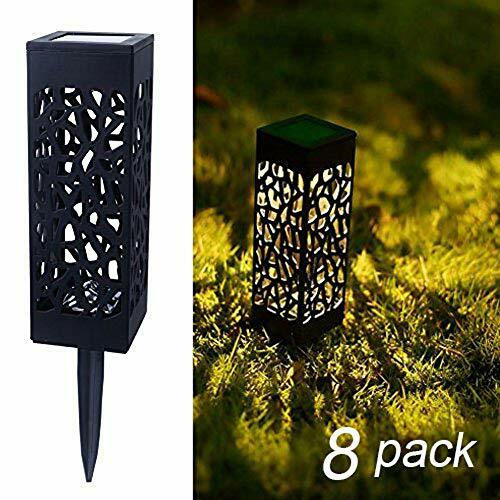 WOHOME 7 Color Changing lily solar lights outdoor (2 Pack) with vivid lily flower spice up your garden.Rugged stainless steel stake and high-grade waterproofing,which ensure the solar flower lights still charge normally after the storm and rain. 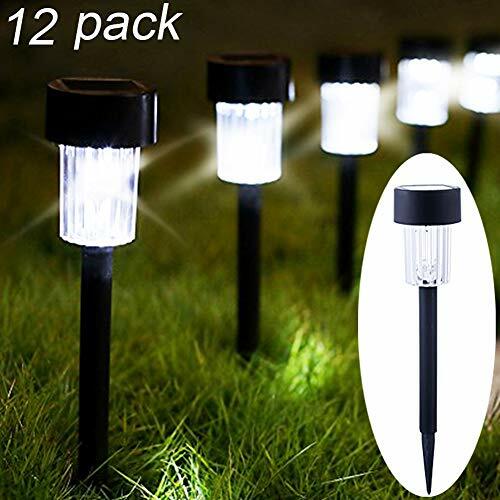 Solar garden stake flower lights will make your family nights, friends party, dance party, birthday party more dazzling! And spend every wonderful night with you ! 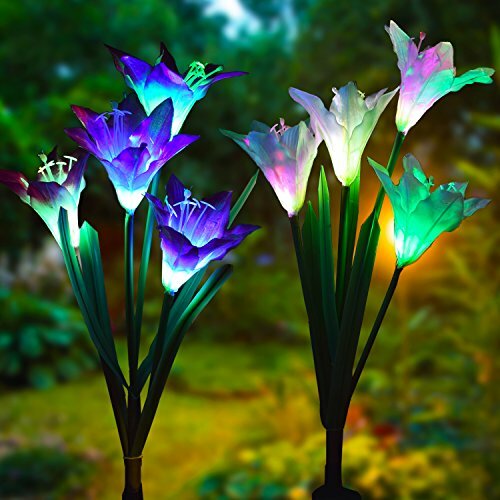 NEW UPGRADED VERSION - The new solar flower lights outdoor have larger lily flowers,which are made of tame fabric, improving quality and appearance to that of a real lily. The water proof glass is IP65, the flower & stem is made of high quality material proven to withstand in bad weather. We also upgraded a wider solar panel which converts sunlight into power faster and more efficient in cloudy weather,and more energy-efficient built-in battery to maximize lighting time. MAINTENANCE FREE & EASY INSTALL - Beautifully designed solar flower lights outdoor are molded no wire & external electricity required, Garden Decor Light will automatically lights up in the dark to illuminate your backyard and pathway. 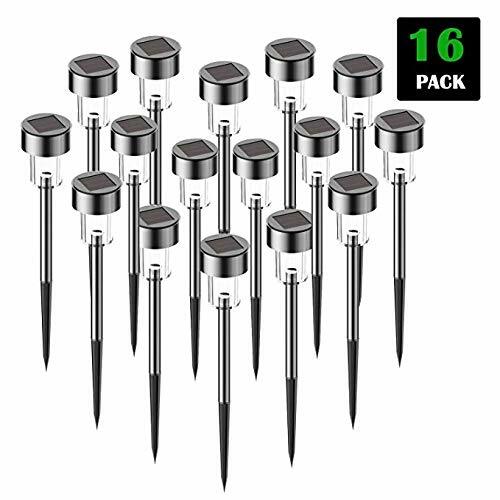 Perfect as path lights and in-ground lights Suitable for the Garden, Trees, Flowers, Flowerbed, Fence, Walkway, this solar garden lights Does it all. ADJUSTABLE STEMS & LEAVES - Both stems and leaves are propped up by iron wire which gives ultra flexibility and durability. You can bend the solar flowers stems and leaves into different angel and style,and the lily shaped flower lights will stay in shape even after thousand times of bending.Flowers and leaves will not color fade easily even after being exposed to the sun. 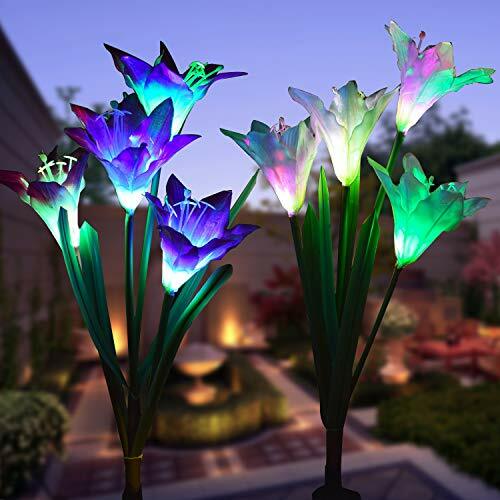 ENJOY THE BEAUTY - This beautiful Solar flower lights artificial flower garden stake light is at home outside. 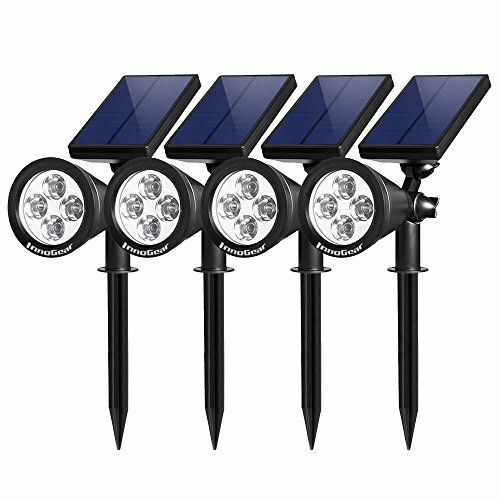 Equipped with 600mAh rechargeable battery, this solar stake lights can work about 6-8 hours at night if fully charged during the day.Let it decorate your garden during the day, convert sunlight into electricity, and when night falls, it will automatically light up to illuminate your garden and pathway. 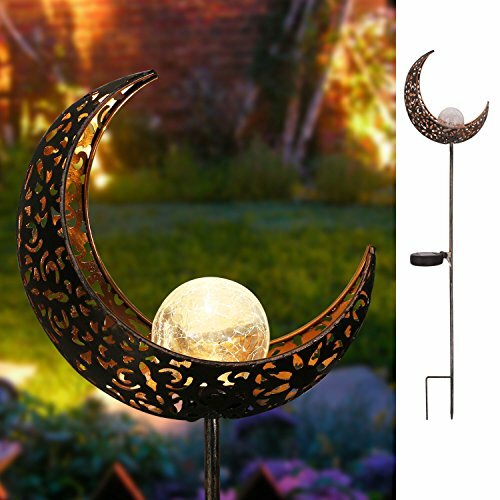 PERFECT GARDENING GIFTS & DECORATION - This solar flower dancing lights outdoor includes 2 packs of Flower lights. Each pack changes 7 different colors to promote the desire ambience of any occasion, whether it is for a backyard event, or just the finishing touch on your outdoor masterpiece. It is also a perfect gift for friends.We offre 100% Satisfaction guarantee and reliable customer service within a 24 hour time support,If you have any questions, please feel free to contact us !